Given that Machu Picchu is arguably the most popular tourist destination in Peru, it should come as no surprise to learn that there is a wide range of choice when it comes to accommodation. Whether you are looking for a simple but clean eco-friendly lodge, built in the local style, or would prefer something with a few more amenities and a bit more luxury, you are sure to find what you are looking for. However, there is one thing that you should be aware of before you rush ahead and book a hotel room. The Inca ruins themselves are set high on a mountain ridge in the Andes range and whilst you can obviously make the trip up to summit investigate them, there is no where to stay on the site. This means that what may be described as a ‘Machu Picchu hotel’ by a travel agent or internet based travel website, could well be some distance from the fabled Lost City of the Incas itself. 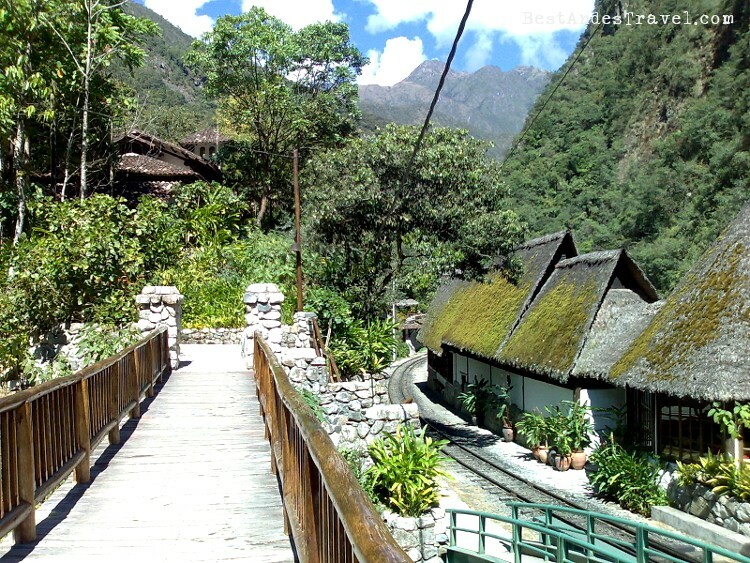 The reality is that many Machu Picchu hotels and lodges are quite a long way from the tourist attraction, with the biggest selection being in the nearest large city, Cusco (or Cuzco), which is approximately 70 km from the UNESCO World Heritage Site. Having said that, once you arrive in Cusco you will find that it has just about every kind of accommodation that you could desire, from cheap hostels for the budget traveler and backpackers through to top end hotels with restaurants and bars. Whilst initially you may be disappointed that Machu Picchu hotels are usually Cusco hotels, do not worry. Firstly, as the local hub, Cusco has a large and well-established tourist industry, which has sprung up specifically to cater for visitors wanting to see Machu Picchu. Both local and tourist buses travel regularly between the city and the ruins and there are plenty of Machu Picchu tours being run out of the various hotels, hostels and lodges to help you get there. Secondly, Cusco itself is an enthralling city with a fascinating blend of ancient Inca and Spanish colonial architecture as well as a vibrant market packed with colour, noise and interest. Also, given that Cusco was once the capital of the now lost Inca Empire and is a World Heritage Site in its own right, no Inca-inspired trip to the region would really be complete without visiting it. Of course, many people who make the journey to this stunning part of Peru are not looking for Machu Picchu hotels anyway as one of the most common ways to stay in the area is in a tent. Indeed, if you decide to visit Machu Picchu as part of an organized tour group there is a good chance that at least part of your trip will involve camping. For many travelers, the pilgrimage to the fabulous Inca ruins is done as one section of a longer trek through the Andes, often following the historic Inca Trail. If you are considering seeing this glorious region of South America under the guidance of a Machu Picchu tour, check what kinds of accommodation are included as it could be a shock to find yourself camping halfway up a mountain when you had assumed that you would be snuggly tucked up in a hotel room.